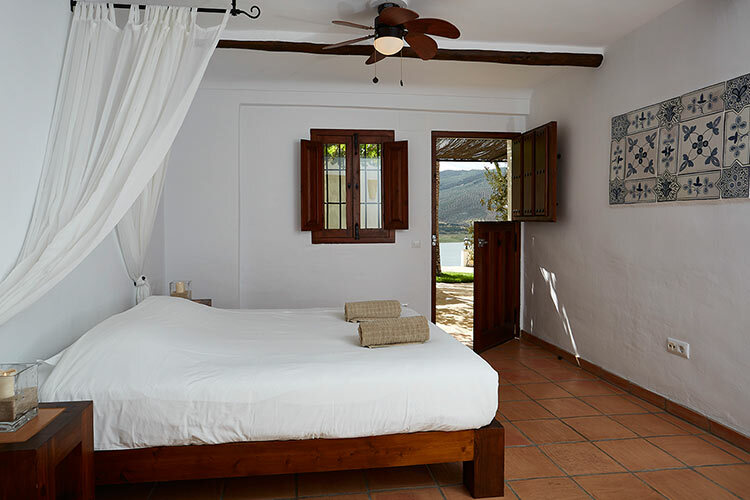 All five rooms at Casa Rural El Olivar have a stylish decoration with Spanish accents. 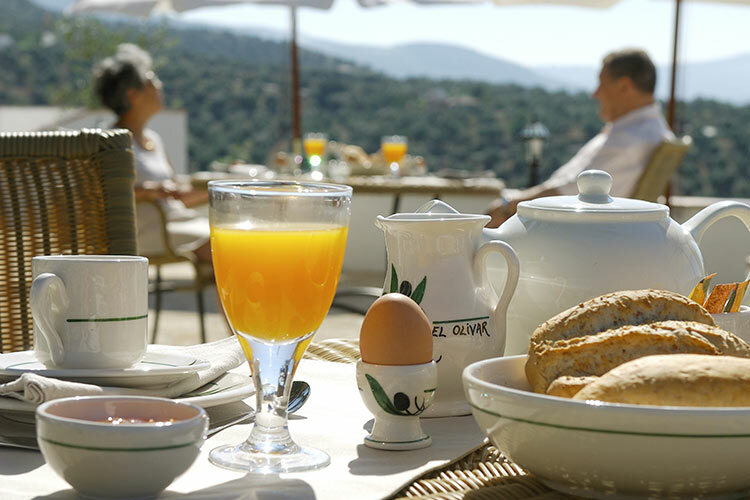 Each room is named after a type of olive. Next to each door is an enormous ceramic flowerpot containing a different type of olive tree, all referring to the name of that particular room. These cool rooms are next to each other on the ground level and all of them have access to the large terrace. 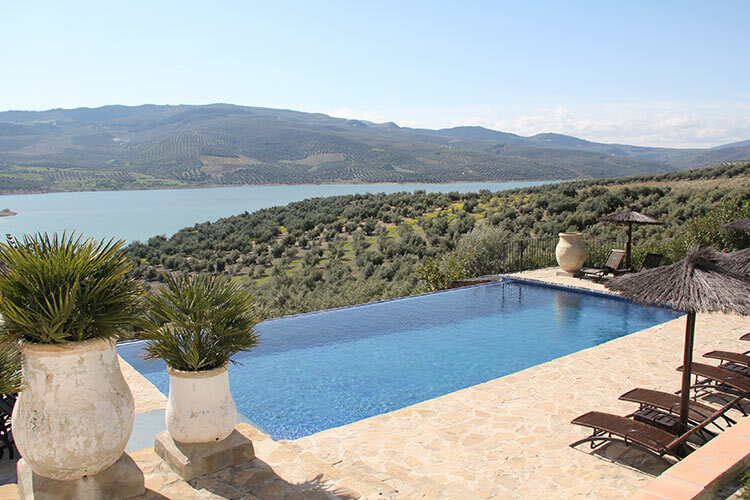 They all overlook the terrace, the olive groves and the lake.